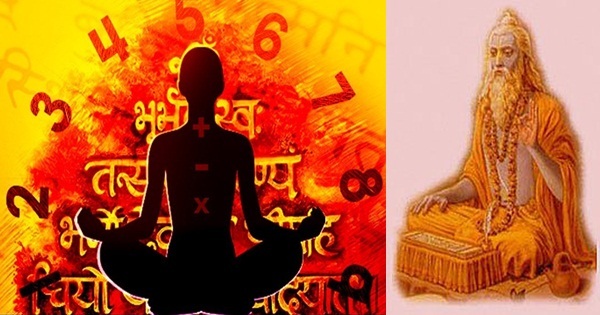 In this series of articles, I intend to portray a glimpse of some of the milestones in ancient Indian mathematics with special emphasis on number theory. This article shares a brief overview of Vedic mathematics and the evolution of decimal notation and arithmetic. In the next article, I would touch upon the concepts of algebra, trigonometry and calculus. In the subsequent installments, my endeavour would be to bring forth the works of Bhaskaracharya or Bhaskara II (the great poet and mathematician) and Srinivas Ramanajuan (the man who knew infinity). The climax of the Indian achievements in algebra and the number theory was the development of the ingenious “Chakravala” method for solving, in integers, the equation of X2 – Dy2 =1 erroneously know as the Pell equation. Mathematics, in its early stages broadly developed mainly among two traditions, overlapping in their nature. 2. The arithmetical and algebraic. Among the other ancient civilizations, it is in India that we witness a strong emphasis on both these streams of mathematics. Other ancient civilizations like the Babylonians and the Egyptians had elaborated much more upon the computational tradition. A. Seidenberg, an eminent algebraist and historian of mathematics traced the origin of sophisticated mathematics to the Rig Vedic rituals. The oldest treatise known in mathematics in existence are the “Sulba Sutras” of Baudhayana. Apastamba and Katyayana form part of the literature of the Sutra period in the later Vedic age. The “Sulba Sutras” are supposed to have been composed around 800 BC. (Recent researches suggest earlier dates). Though, the knowledge of mathematics recorded in these “Sutras”(aphorisms) are much more ancient; The “Sulba Sutras” authors themselves proclaimed that they are merely reiterating facts already known to the composers of the Brahmanas and Samhitas of the early Vedic age. The “Sulba Sutras” compiled results in mathematics used for the designing and constructions of the various elegant Vedic fire altars since the dawn of Civilization. The altars had great symbolic prominence and they had to be constructed with pure accuracy. Now, the constructions of such fire-altars are elaborately described in an explicit manner in the “Satapatha Brahmana” (C. 2000 BC); some of them are recorded in the “Taittiriya Samhita” (C. 3000 BC). The description of the fire altars in the “Taittiriya Samhita” and other Vedic texts onwards are exactly on the same lines as those found in the later “Sulba Sutras”. Plane geometry rest upon two important pillars having a uniform application throughout history. 2. The properties of similar figures. In the “Sulba Sutras”, one can witness an explicit statement of the “Pythagoras Theorem” and its applications upon various geometric constructions. For example, Construction of a square equal (in area) to the sum, or difference, of two squares, or to a rectangle, or to the sum of “n” squares. These Constructions intrinsically involves application of algebraic notions the likes of (a+b) 2 = a2 + b2+ 2ab, a2– b2= (a+b)(a-b), ab= ((a+b)/2)2– ((a-b)/2)2 and na2= (( n+1/2)2 a2-((n-1)/2)2 a2. They reflect a blend of geometry and subtle algebraic intellect and insight associated with Euclid. If one ponders, the Sulba construction of a square equal in area to a given rectangle is exactly the same as given by Euclid several centuries later. Apart from the above discussed, “Sulba Sutras” comprised of geometric solutions to algebraic and number theoretic problems. “Pythagoras Theorem” was known also to other ancient civilizations but there the emphasis was much more on the numerical aspect, while in “Sulba Sutras” one experience depth in both aspects, especially the geometric. There is a point which has been analyzed in detail by Seidenberg; from certain diagrams recorded in the “Sulba Sutras”, several mathematical historians, the likes of Burk, Hankel, Schopenhauer, Seidenberg and Van der Waerden concluded that the Sulba authors possessed proofs of many geometrical results including the “Pythagoras theorem”- Many of the details are taken and analysed in the towering work of “Datta”. The most striking feature of the ancient Indian mathematical literature, beginning with the “Sulba Sutras”, is that they are composed entirely in verses, an astounding feat. A manuscript found in a Spanish Monastery (976 AD) records: “The Indians have an extremely subtle and penetrating intellect, and when it comes to arithmetic, geometry and other such advanced disciplines, other ideas must make way for others. The best proof of this is the nine symbols with which they represent each number no matter how large”. India gave to the world a gift of the century- the decimal system. This profound anonymous Indian innovation is unparalleled for sheer brilliance of abstract thought and utility as a practical invention. If one traces the genealogy of the decimal notation, he or she may stumble upon two canons of Construction: (i) the concept of place value: and (ii) the notion of zero as a digit. G.B Halsted highlighted the power of the place value of Zero. In his beautiful observation “The importance of the creation of the zero mark can never be exaggerated. This giving to airy nothing, not merely a local habitation and a name, a picture, a symbol, but helpful power, is the characteristic of the Hindu race whence it sprang. It is like coining the Nirvana into dynamos. No single mathematical creation has been more potent for the general on-go of intelligence and power”. The decimal system is so deceptively simple; due to the same reason children all over the globe are able to grasp its significance at a tender age. It is economical both symbologically and space wise. Thus the twelve digits Roman number (DCCCLXXXVIII) is simply 888 in the decimal system. The excellence attained and the skill developed by the Indians along with their significant role in the foundations of arithmetic and primarily due to the early discovery of the decimal notation- the key to all path breaking ideas in the arena of modern arithmetic. For example, the modern methods for extracting square and cube roots, elaborated by Aryabhatta in 5th century AD cleverly used the ideas of place value and Zero and the Algebraic expansions of (a+b)2 and (a+b)3. These methods were introduced in Europe only in the 16th century AD. Due to scarcity of sources, there is a vacuum in our knowledge with regard to the precise details about the origin of Decimal notation. The concept of zero existed from the time of Pingala (dated 200 BC). The idea of place value had been intrinsic in ancient Sanskrit terminology. As a result, Indians could effortlessly handle large numbers right from the Vedic age. Terminology exists for all multiples of 10 upto 1018 in early Vedic literature. The “Ramayana” has terms all the way upto 1055 and the Jaina- Buddhist texts show frequent use of large numbers (upto 10140); for the measurement of space and time notations of such large numbers are not found in the contemporary works of other nations. The Greeks had no terminology for denominations beyond 104, while the Roman terminology stopped within the mile (103). The structure of the Sanskrit numerical system and the Indian passion for large numbers must have acted as a catalyst in the creation of decimal system. The smallest positive integral solution to the question X2-DY2=1, could be very large. In fact, for D=61, it is (1766319049, 226153980). The early Indian solution to this complex problem reflects the early Indian fascination for large numbers and their level of comfort with them. The decimal system was trans-migrated to Europe by the Arabs. The Sanskrit word “Sunya” was translated into Arabic as “Sifr” later introduced in Germany in the 13th century as ”Cifra”, which gave to the word “Cipher”. Leonardo Fibonacci of Pisa (1180-1240), the man who gave us the famed “Fibonacci Sequence” played a prominent role in the spread of the Indian numerical system in Europe. It is no Coincidence that the mathematical and scientific renaissance began in Europe only after the Indian decimal system was adopted. Mr. Mohit Sharma (The man who inspires me to be better than yesterday). 1. A Seidenberg, The origin of Mathematics in Archive for History of Ex- and Sciences, 1978. 2. A Seidenberg, The Geometry of Vedic Rituals in Agni, The vedic Ritual of the Fire Altar, Volume II, edF Staal, Asian Humanities Press, Berkeley, 1983, reprinted Motilal Banarasidass, Delhi. 3. Bibhutibhusan Datta: Ancient Hindu Geometry: The science of the Sulbas, Calcutta Univ. Press, 1932, reprinted Cosmo Pub, New Delhi, 1993. 4. Georges Ifrah, The Universal History of Numbers, John Wiley and sons, 2000. 5. S N Sen, Mathematics Chap 3 of A Concise History of Science in India, D.M Bose , S N Sen and B V Subbarayappa, INSA, New Delhi, 1971. 6. G G Joseph, The crest of the Peacock: Non- European roots of Mathematics, Penguin, 1990. 7. G B Halsted, on the foundations and techniques of Arithmetic, Chicago, 1912. Featured image courtesy: Everipedia and YouTube. Ancient India Brahmagupt: Indian Mathematician Who Introduced Zero; Who Argued Earth is Round 14 Ancient Universities of India: From 3600 Plus Years Ago Ancient India and Dogs: From the Vedic Age to Harappan Civilization and Thereafter Women Empowerment: From Ancient India to Modern Period How Were Dates Calculated in Ancient India before the Widespread Awareness of Christianity?